Andron Stainless is dedicated to helping our customers with our current product information and technical data related to the stainless steel sanitary processing industry. Our resources page provides you with catalog specifications and information on dimensions, pipe sizes, weights, stainless steel grades and various other data. Click on a resource below to view. 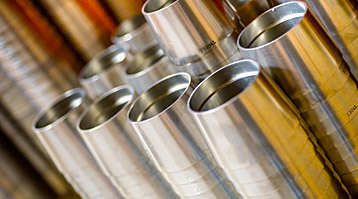 These are publications, in-depth catalog brochures and product information from Andron Stainless. They include our Line card, catalogs and technical information. Andron Stainless provides these links as a service for information and technical data related to the stainless steel sanitary processing industry. A gallery of Andron Stainless product photographs that include our standard product lines, custom machined, custom fabricated and custom manifold product examples. 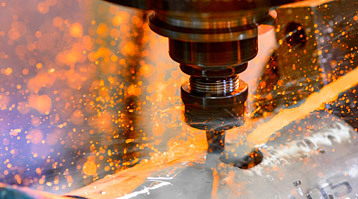 Our in-house machining expertise and latest equipment allow us to respond to your tight schedules faster. Our stainless steel fabrication capabilities include cutting, forming, rolling, welding, finishing, and a variety of machine shop services.